We are now entering Autumn in Perth… and finally starting to feel it! Some did say that Summer might continue into these next few months as it came later than usual, but the colder mornings and growing amounts of leaves on the ground speak for themselves! Prepare to be fighting those pesky leaves for the next few months, but also take some time to enjoy those glorious colours of Autumn! We just love how it goes from stunningly royal displays of purple in the Summer, to those golden and warm orange tones – always something beautiful to spy around our home here in Perth. As always, in the beginning of a new season there is plenty to do, so we have compiled a list of what to do in your garden in March. First off – it’s planting time! This is a great season to be planting all sorts of things and even to begin planning your spring bulbs! TIP: Before the end of the month you want to have planted your citrus, avocado and olive trees. HERBS: plant basil, coriander, garlic, garlic chives, mustard, marjoram, oregano, parsley, thyme and winter tarragon. TIP: Be careful to keep your herbs well-watered and semi-shaded while there are still some hot days this month – they wilt and burn easily! FRUITS: Plant tomatoes, melons and strawberries. VEG: Almost everything! Sow beans, beetroot, broccoli, cabbage, capsicum, carrot, cauliflower, celery, Chinese cabbage, cucumber, eggplant, lettuce, mustard, okra, onion, parsnip, potato, pumpkin, radish, rosella, silver beet, squash, sweet corn, sweet potato and zucchini. FLOWERS: Plant alyssum, lobelia, pansy, stock, sweet pea, snap dragon and viola. March is ideal for planting trees and shrubs. This month it is getting cooler but the soil is still warm enough to encourage growth in your new greenery – so they have some time to establish their roots before the cold weather sets in! With that in mind, now is also great for planting new lawn. Summer is the time for outdoor play, and can cause a lot of wear and tear on your grass – often in the form of bare patches in the most used areas, not the best look! By planting now, the new grass seeds will also be able to get their root systems established before the cold, like your trees and shrubs, as well as having months of good growing time before it’s hot again! 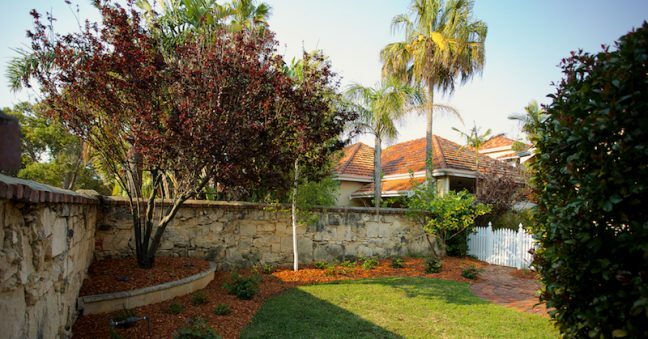 Make sure you get a qualified lawn expert to help you out if you haven’t done it before, they will be able to make sure it is done right, as well as teach you exactly how to look after it in the following months to ensure it grows lush and green. You know those lovely leaves that will start to cover every inch of your garden? A great way to get rid of them is to add them to your compost where the worms will love them and you don’t have to see them! You can also add some used coffee grounds to the mix for an extra boost. March is also a great time for a general garden clean-up to prepare it for the colder months ahead. Trim any branches on your citrus trees that might be hanging lower than 1m – this helps prevent the spread of brown rot. Remove all weeds and any plants in your garden you don’t want to spread – they will all be starting to seed. We hope that this guide has been helpful and we are sure with the application of these tips and tricks your garden will flourish this month! Enjoy being out in your garden these last warm days – we certainly will!